Just as every good play needs a tyrannical villain, every poisonous tabloid needs a bigoted right-wing editor. Enter Morris stage right. As the megalomaniac editor of the Daily Mail Clarion in this satire of current-day journalism, Morris is a terrifying figure – a volatile, paranoid, ticking time bomb. He belittles and bullies his staff in meetings. He shouts vile expletives left right and centre. His views are offensively xenophobic. And he marches around the office clutching a Roman Centurion helmet. He’s the kind of man who makes Katie Hopkins and Nigel Farage look as threatening as a pair of pussycats. Greg Hicks seems to relish in the comic aspects of the role. Mark Jagasia’s provocative script is highly quotable, and Hicks spits out the lines with ferocity and comic timing. 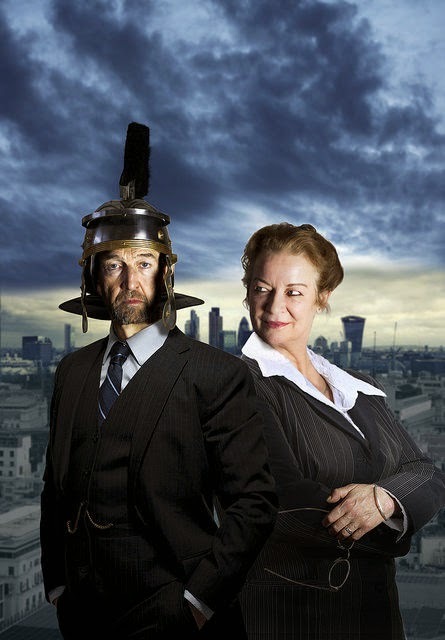 Though his performance occasionally borders on pantomime, Hicks also brings a sense of sympathy and heart – deep down Morris is as frightened as he is frightening, and he does indeed care for his journalistic family, in particular foreign correspondent and veteran journalist Verity (Clare Higgins). As with J.K. Simmons’ Oscar-winning turn as the monstrous Fletcher in Whiplash, Morris is similarly a foul-mouthed villain you love to hate. Morris may be the spearhead of the narrative, but it’s Verity who proves the more interesting character. Where Morris is all extreme characterisation, Verity operates in a political grey area. Whilst fiercely opinionated and devastatingly cutting – seemingly necessary qualities to survive at the Clarion – she is ultimately a martyr. When she is handed a letter that could put the whole paper in jeopardy, her hand is forced to do the right thing. She hands the letter to rival paper The Guardian Sentinel, with shocking, if slightly predictable, consequences. 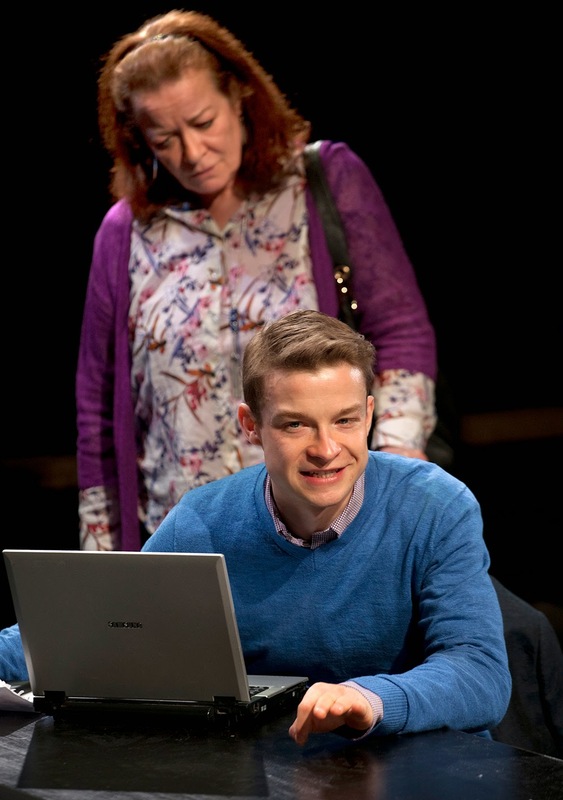 Higgins is exceptional in the role, delivering her lines with dry wit and a knowing glance to the audience. The unsubtle plot is something of a farce, with most of the characters easily diminished to cartoonish caricature. Ryan Wichert plays a somewhat naïve and wide-eyed Josh, the immigration reporter forced to write articles that defy his own beliefs. Then there’s Jim Bywater as Albert, a hapless lapdog of a news editor; Peter Bourke as the religious executive Clive; John Atterbury as flamboyant astrologer Dickie; and Laura Smithers as the hilariously dim-witted intern Pritti. As a whole the cast are excellent in their roles, bringing plenty of life and colour to this cutthroat, laugh out loud world. Yet beneath the comical exterior is a savage dissection of the corruption at the heart of the media, its nationalistic themes ripe in the current political climate. Clarion may represent a heightened version of journalism, but is its narrative really that far-fetched? As a former journalist writing his debut play, there must be some frightening truths hidden away in the depths of Jagasia’s words. You’ll laugh, but you’ll be questioning yourself nonetheless. 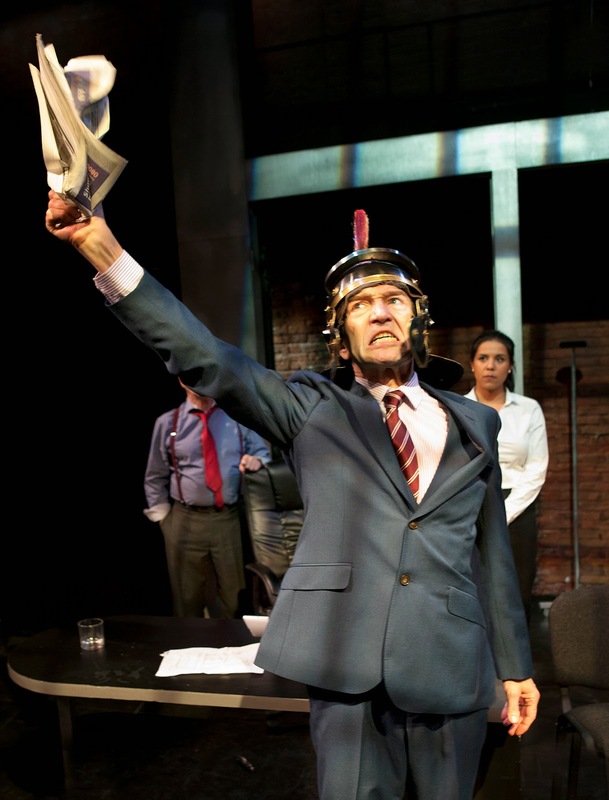 Watch: Clarion runs at the Arcola Theatre until 16th May.